GENEVA: UN human rights chief Michelle Bachelet called on China on Monday to allow in monitors after “deeply disturbing” allegations of large re-education camps in which Uighurs are detained in Xinjiang province. A United Nations rights panel said last month it had received credible reports that up to one million Uigh­urs may be held in extra-legal detention in the far western province of China, and called for them to be freed. China has rejected the allegations of internm­ent camps and accused “ext­ernal factors” of causing turbulence in the restive region. 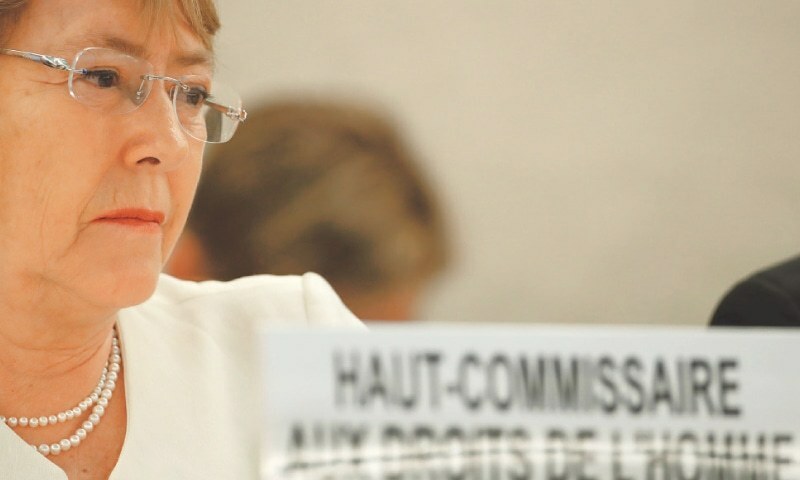 Bachelet, a former Chilean president making her maiden speech to the UN Human Rights Council, said the panel had brought to light “deeply disturbing allegations of large-scale ar­­bitrary detentions of Uigh­urs and other Muslim communities, in so-called re-education camps across Xinjiang”. Bachelet promised to be a voice for victims. “I have been a political detainee and the daughter of political detainees. I have been a refugee and a physician including for children who experienced torture and the enforced disappearance of their parents,” she told the 47-member forum in Geneva. 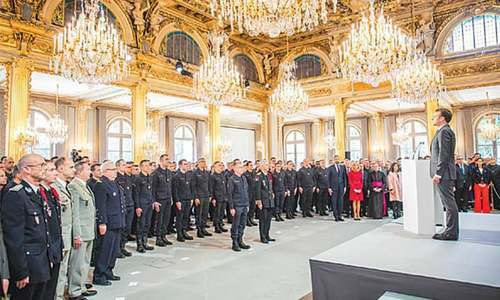 Bachelet voiced concern that 500 migrant children in the United States taken away from their parents have not yet been returned by authorities. She decried the announcement by US President Donald Trump’s administration last week that it would withdraw from a court agreement limiting detention of migrant children to 20 days. Whether it is the USA or Saudi Arabia or China, any crimes committed against humanity must be looked into by the United Nation's appointed agency and the perpetrators found guilty must be punished severely. Any threats to the judges or any other persons who investigate such crimes are uncalled for and the UN should deplore such threats by the bullies of the world.